SHURUGWI - Shurugwi Town Council may be forced to call for a supplementary budget soon after the approval of the current because the value of the RTGS$ has significantly tumbled against the US$. The current budget will not last until September. 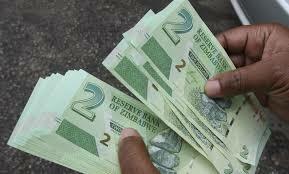 Finance director Charles Taonezvi said the 2019 budget was approved a few weeks ago but the money’s buying power has been eroded after de-valuation during a monetary policy statement presented by the Reserve Bank Governor John Mangudya. The $6,4m budget was approved on February 25, 2019 by the Ministry of Local Government, Public Works and National Housing. Shurugwi town secretary said that they were going to put more effort in revenue collection as the council was operating at 40.6% capacity of the 2018 budget. “We are going to focus on revenue collection to improve on our service delivery as we were operating at 40.6% capacity in 2018 and this is a jump from the 28% capacity the previous year” said Siziba. Siziba also added that the council has set aside 24% of the budget for capital projects and 17% of the budget was set aside for salaries and wages.